Georgie McCool knows her marriage is in trouble. That it's been in trouble for a long time. She still loves her husband, Neal, and Neal still loves her, deeply - but that almost seems besides the point now. Two days before they're supposed to visit Neal's family in Omaha for Christmas, Georgie tells Neal that she can't go. She’s a TV writer, and something’s come up on her show; she has to stay in Los Angeles. She knows that Neal will be upset with her — Neal is always a little upset with Georgie — but she doesn’t expect to him to pack up the kids and go home without her. I literally just finished this book exactly three minutes ago, although by the time you see this it will have been a few months ago. I just want to hug you, Landline. I am so, so, so unbelievably grateful to have received an early copy in February. Winter is always so depressing so this really cheered me up! Something I've noticed after reading Eleanor and Park, Fangirl, and now Landline, is that Rowell's writing is very distinct. Even if her name wasn't in big letters across the front cover, I like to think I would know she had written it. Her voice is different to others. You're pulled in to this world not dissimilar to your own and suddenly you are the main character, you do hate pugs and you are in a wrecked marriage. As strange as that sounds. On to the ending. I was thinking this would be a good opportunity for a sequel but then I thought...we meet people. Sometimes we lose them. We don't hear from them again and we never get to find out what happens in the next few chapters of their lives. I take back what I said about the anti-climatic endings of Eleanor and Park and Fangirl because I feel like I finally get it. A good book doesn't need a dramatic close of the curtain. A book shouldn't only be defined by its ending. Since finishing the book I have been asked four different times whether I preferred it to Fangirl, but how can I compare the two like that? Fangirl is YA, Landline is Adult, and while they're quite similar in writing style, they're as good as each other. Read 'good as each other' as freaking amazing. You know that state you drop into after reading a good book, where you continue to sit there in appreciative silence, letting the book sink in properly? That. That is how I'm feeling right now. If you hadn't realised already, this book is amazing. While it does have pretty bad side effects (refer to tweet above) you will love it, and you will want to hug it. It even includes pugs, people. PUGS. Overall, you must read this. 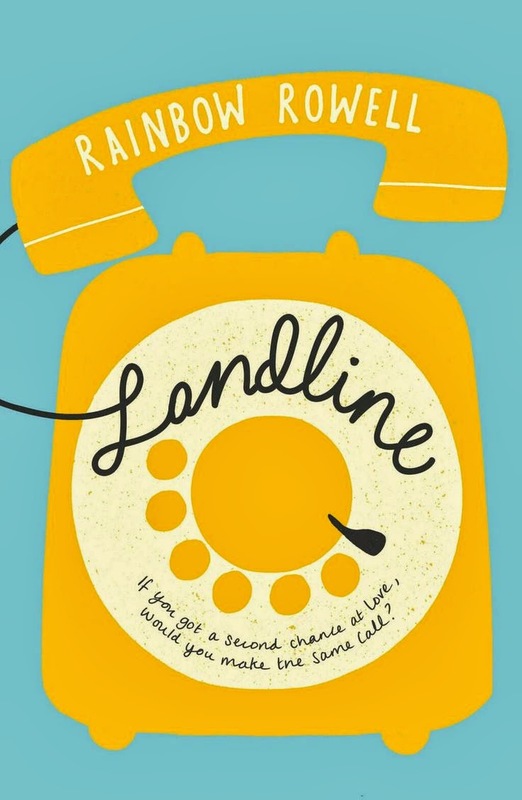 Landline is everything I expected it to be and more, and while I really don't like how this review has turned out, if there is one thing you take away from it, let it be this: please get your hands on this book. Somehow. You will love it. Can you believe I just reviewed a Rainbow Rowell book without using GIFs? Neither can I. I need a donut. YES I AM EXCITED TO READ IT! I'm not sure when it comes out for the US, but I'll make sure I get my hands on it one way or another. I've read all three of Rowell's books, with Fangirl being my favorite, so I'm hoping Landline tops it! Not sure, maybe July or August I would've thought? Hope you enjoy it! I NEED THIS IN MY LIFE. I hope to get my hands on this one soon. Also I need Eleanor & Park really badly, because necessary.